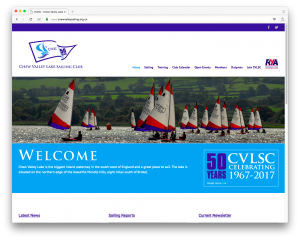 Today we helped but a new Website live for Chew Valley Lake Sailing Club which is currently hosted on BitSolver Virtual Servers. The new site is powered by WordPress and brings a modern look and feel for the club. Thanks to members of the Chew Valley Lake Sailing Club and Luke from Slice Studio we were able to launch the site today, January 1st 2017.